Winchester SXP Defender 12 guage. Great gun only reason for selling is looking for another SXP with a longer barrel. In great shape. Stored in a locked hard case all the time. Must have PAL upon viewing or purchase. 375 or best offer. Text or email for best response. TWO NEW 9MM HANDGUNS. BROWING AND SMITH AND WESSON. Smith & Wesson M&P 9mm handgun. Bought new November 2016 and has never been fired. Includes Gun, Case, 4 Mags, Quick Loader, 3 different Grips, Double Mag Holder, Trigger Lock, Glasses and Ear defenders. BROWNING HIGH POWER ADJUSTABLE SIGHTS. 9MM. This gun was bought on October 3, 2016 and has never been fired. Both Guns were bought in Ontario and moved with us to Newfoundland. We found the summers were too busy to use the Guns. We have bikes and Can Am Spyders so we are busy taking rides and trips here and Nova Scotia. There is no indoor range near us so we have no time to use the Guns. This deal is for BOTH GUNS AS A PACKAGE. I WILL NOT SELL ONLY ONE GUN SO NO NEED FOR ANY QUESTIONS TO ME REGARDING THAT MATTER. THIS IS A GREAT DEAL AND IS INTENDED FOR THE SERIOUS BUYER. MUST HAVE A CURRENT RPAL TO BUY THE GUNS. 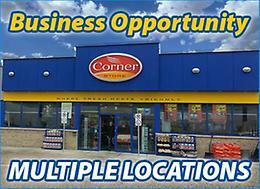 CAN MEET UP IN CORNER BROOK OR DEER LAKE IF OUTSIDE OF STEPHENVILLE.